St. George's day was the perfect time to launch Salford Red Devils Foundation’s latest programme ‘BIG HITS’. 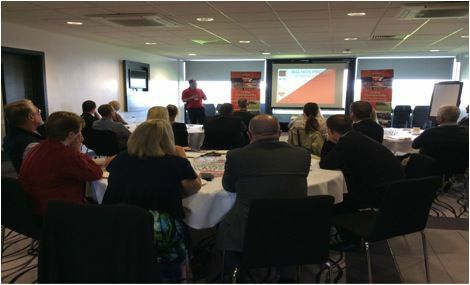 A glorious afternoon saw over 25 attendees from across the region descend upon the AJ Bell Stadium to hear and see what facilities and opportunities are currently on offer. This is a new 3-year project funded by the Big Lottery Fund aimed at hitting over 7000 participants. Newground Together have also made a contribution for some specific delivery in the Pendleton area. The programme is based around 4 main outcomes and will leave a legacy of improved health and wellbeing for the Salford and Trafford Communities. The afternoon was a great opportunity to bring stakeholders and potential new partners together to see what an impact Salford Red Devils Foundation and the BIG HITS programme will have on the local community.